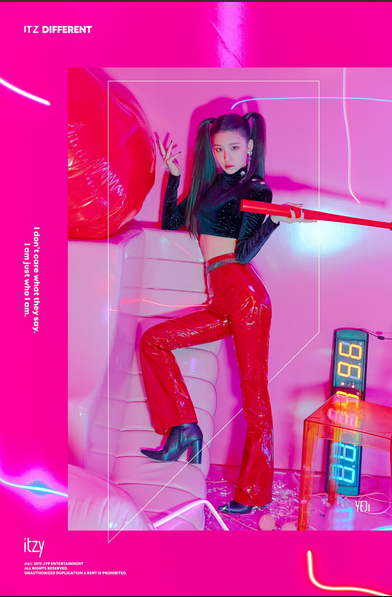 JYP Entertainment’s rookie girl group, ITZY have recently revealed member Yeji’s powerful individual image teasers. Both images show off a powerful and confident Yeji. In the energetic hot pink tones of the background, Yeji still manages to call attention to herself. On the other hand, the cool blue hues in the second image are offset by her captivating gaze. Yeji has most recently appeared in SBS’s music contest program ‘The Fan’, where she garnered much interest with both her dancing and singing ability. ITZY have gained much attention both domestically and internationally. They ranked first place on Korean portal search engines and took the top place for real-time word searched on the Yahoo portal in Japan. What do you think of Yeji’s individual image teasers? Let us know in the comments below.